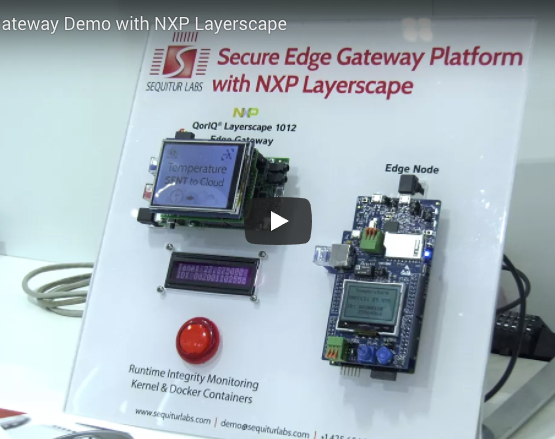 3 IoT demos that highlight Atmel’s SAMA5 | Sequitur Labs Inc. The struggle to achieve low power and small size for edge devices is ongoing, but going too low on the processor spectrum can leave security open to compromise. At the high end of the Atmel product spectrum resides the SAMA5, based on an ARM Cortex-A5 core. 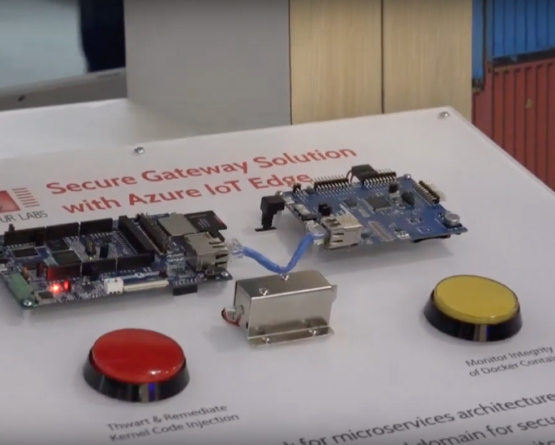 With an MMU supporting Linux or Android, plus on-the-fly memory encryption and ARM TrustZone in some variants, this family is drawing interest from IoT app developers. We’ll look at three examples, all illustrating how important seamless trust is becoming for the IoT. The struggle to achieve low power and small size for IoT edge devices is ongoing, but in many cases going too low on the processor spectrum leaves security open to compromise. Selecting a slightly more powerful core can enable a considerably more robust implementation, adding the potential for end-to-end security spanning all three IoT tiers – edge, gateway, and infrastructure. For example, startup Sequitur Labs has ported their CoreTEE (trusted execution environment) to the SAMA5D4 and SAMA5D2. CoreTEE makes heavy use of TrustZone to provide gateway functions such as secure boot, firewalling, secure peripheral drivers, static and dynamic loading of trusted apps, and a framework for crypto key management. Sequitur is not a run-of-the-mill startup, instead composed of industry vets combining experience from places such as Boeing Phantom Works, Nortel, Qualcomm, and T-Mobile. TrustZone support is a big deal, and it is one reason ARM-based IoT infrastructure chips make sense. ARM said at TechCon 2015 they are in process of adding TrustZone to the Cortex-M profile (ARMv8-M), but they haven’t announced a product yet – Sequitur currently has a separate slimmed-down product, CoreLockr, for edge devices. 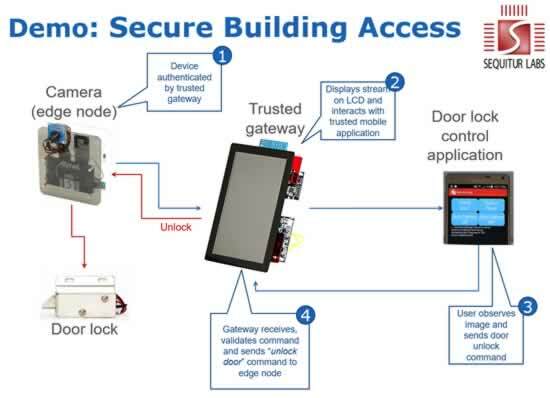 The CoreTEE platform was demonstrated at Embedded World 2016, with a trusted gateway based on the SAMA5D2 talking to an edge node (on an Atmel SAM D21) and a Samsung Galaxy Note 4 coordinating a simple building access application with end-to-end trust.